Our Emmanuel Is With Us! And The Touch of His Care! That’s Filled With God’s Countless Blessings Always! 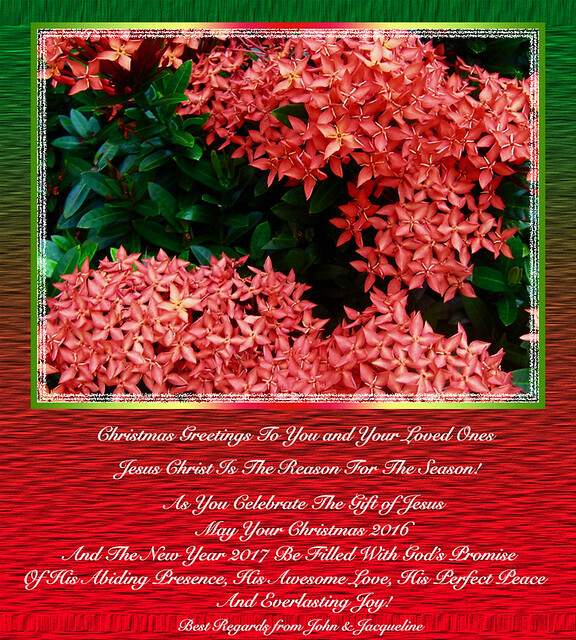 An ecard made from a capture of our Dwarf Red Ixora to warm your hearts. God bless all of you and your loved ones always!